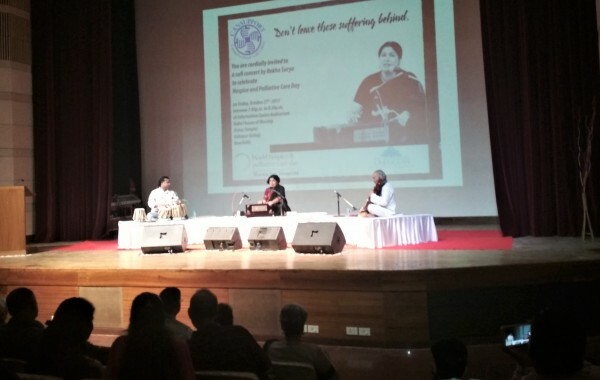 CanSupport celebrated the World Hospice and Palliative Care Day on Oct 27th at the Bahai House of Worshipin New Delhi with a performance of Sufi music by Ms Rekha Surya. She sang sufi compositions from as early as the 13th century and explained the lyrics of the songs before hand to the audience. Sufi songs are sung in praise of god irrespective of the religion. A souvenir was released containing stories of patients and their journey during the treatment and how palliative care helped to make their life comfortable during the treatment. The concert was attended by large number of patients and their family members, volunteers of CanSupport,members of donor organisations and all employees of CanSupport. CanSupport is one of the largest home based provider of palliative care services in India.